This is an update to the previous blog, Patient is in Isolation and Being Tested For Contagious Ebola Virus Disease: Ontario, Canada. Brampton Civic Hospital tested a patient who recently travelled to Canada from West Africa and presented with symptoms such as fever, headache, muscle pain and malaise. 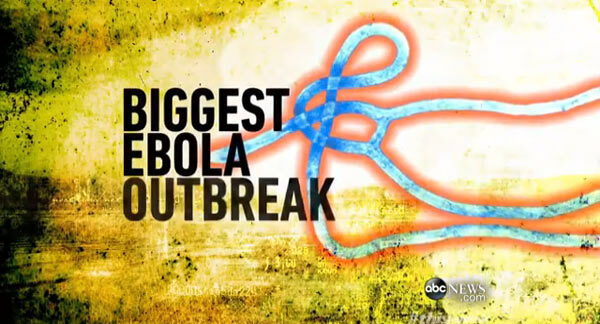 The patient was found to test negative for Ebola virus disease. Also, the patient is doing well. August 10, 2014 4:50 A.M.
“I can now confirm a recent case that underwent testing at the National Microbiology Laboratory in Winnipeg was found to test negative for Ebola virus disease. 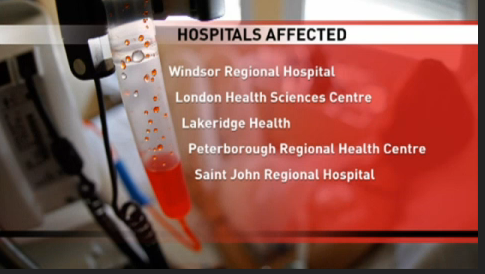 On 2 April 2013, CBC reported that more than 1,000 cancer patients in Ontario and New Brunswick, Canada, may have received chemotherapy cocktails that were watered down. CBC News: “Watered down chemo drugs given to 1,200 cancer patients” in five hospitals in Canada. Since the discovery of under-dosing of chemotherapy drugs at four Ontario hospitals and one in New Brunswick, the Ontario government’s response include the following actions. The province has worked with the Ontario College of Pharmacists to develop regulatory amendments that enable the College to inspect non-pharmacy drug preparation premises. Ontario appointed Dr. Jake Thiessen in April to conduct a review of cancer drug supply system. Today, Dr. Thiessen presents the results and recommendations of his excellent review into Ontario’s cancer drug supply chain as follows.